This chapter investigates the relative strength of the contributions of trade openness and FDI inflows towards economic growth of Thailand, taking account of the importance of human capital and other conditioning factors as a source of technology transfer in facilitating growth. Using Granger causality tests conducted within a vector-error-correction framework, the authors find significant evidence of the complementarities between domestic investment and trade openness, providing support for import-led growth. In contrast, direct support for FDI-led growth is relatively weak, which implies that trade openness has played a more significant role than FDI in influencing Thai economic growth. 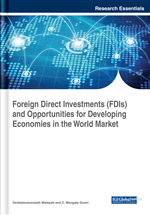 However, the results reveal a subtle role for technology transfer through the complementary effect of trade on FDI, and FDI on government expenditure, which henceforth influences human capital development with spillovers into domestic investment and growth. This leads us to argue that there is a potential role for FDI interacting with human capital in influencing the future development of the Thai economy, given its active policy of FDI promotion over the past decade. The nature of causal mechanisms between openness and economic growth has been extensively studied in many developing countries that have adopted a policy of both trade and FDI-led liberalization. There are in effect two basic hypotheses linking this policy stance between outward orientation and economic growth. The first is based on a model of endogenous growth in which foreign capital is treated as complementary to domestic capital formation in aiding economic growth, implying the importance of technology transfer or FDI spill overs in generating growth (Grossman & Helpman, 1991; Rodriguez-Clare, 1996). Technology transfer in this context occurs when the advanced technologies embodied in high technology imports or FDI inflows are transferred to domestic plants through the presence of superior technology of multinational firms. Such spill over effects of FDI affect the host economies through changes in industrial structure and transfer of technological, managerial and financial practices that multinational firms bring about. However, it is argued that for developing countries to benefit from such spill overs they need to nurture their own absorptive capacity, which depends on the human capital or skill labour content of their workforce (Nelson & Phelps, 1966; Borensztein, De Gregorio & Lee, 1998). These considerations suggest that, apart from domestic physical and human capital formation, promoting trade and attracting FDI inflows enhances economic growth. The alternative, reverse linkage hypothesis relates to the importance of domestic economic growth in explaining the volume of trade and the existence of multinational firms, the latter implying that FDI is attracted to host countries because of the possibility of higher returns on investment. Viewed as a substitute for domestic investment, FDI inflows are a natural response to higher domestic demand for capital generated by economic growth in host countries. Expanding domestic markets also make it possible for multinational firms to exploit economies of scale (Markusen, 1995). Moreover, improvements in human capital, labour productivity and infrastructure through technological change and economic growth would increase the marginal returns to capital, thereby expanding the demand for investment including FDI (Zhang & Markusen, 1999). In short, better economic performance in host countries provides foreign investors with a better investment environment and greater opportunities for generating profits, which suggests the hypothesis of growth-driven FDI and import demand. This paper seeks to investigate both these hypotheses by establishing the nature of the causal links between trade, FDI and economic growth using quarterly data for Thailand. In doing so, we account explicitly for the role of domestic economic factors, including human capital, following the approach of Borensztein et al. (1998) who carry out a cross-country empirical analysis and find that the positive growth-effect of FDI holds only when the host country has a highly educated workforce that allows it to exploit FDI spill overs. However, in an open economy, technology and knowledge may also be transferred through exports and imports, and thus promote economic growth (Frankel & Romer, 1999; Grossman & Helpmann, 1991). Furthermore, growth also has positive effects on boosting trade (Rodriguez & Rodrik, 2000). Balasubramanyam, Salisu and Sapsford (1996) argue that many of the growth promoting factors identified by endogenous growth theory can be imitated and nurtured to promote economic growth through FDI, provided the domestic economic climate and the nature of the trade policy regime support the development of human capital, implying increasing returns to scale and spillover effects, as identified by new growth theory. Thus, as previously suggested in the development literature (Edwards, 1993), trade liberalization is an important channel for promoting growth, more fundamentally because it increases the size of the market and allows the country to use greater varieties of technologically advanced physical capital, which enhances the productivity of its own domestic resources (Grossman & Helpman, 1991).